I’m a bit obsessed with bargains at the moment. I recently made a trip to Bicester Village shopping outlet and picked up quite a few bits and bobs for some pretty bargainous prices that I thought I would share with you. In the past I have said I am a bit of a MAC newbie, and whilst I’m still not exactly a MAC-addict, I have managed to build up a bit of a collection over the last year. 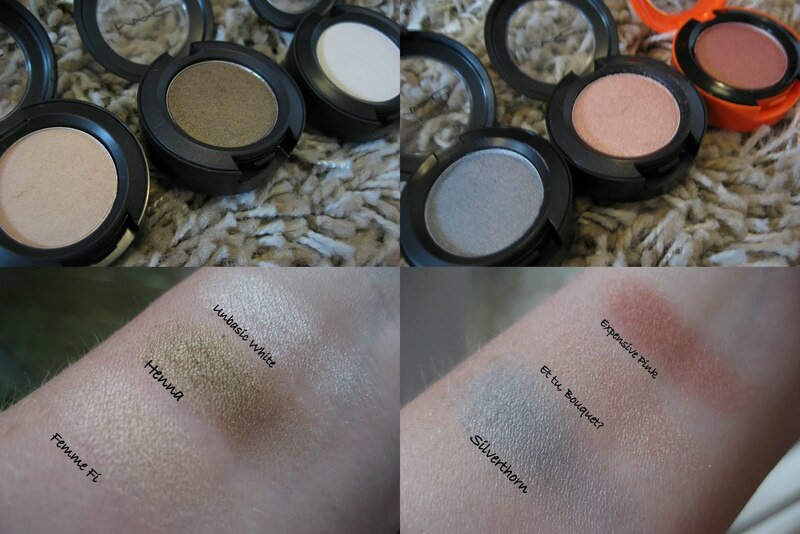 My favorite bits of the MAC repertoire has to be the eye shadows, I love the range of colours so surprise surprise, at the CCO (Cosmetic Company Outlet) that was the main thing I went for. 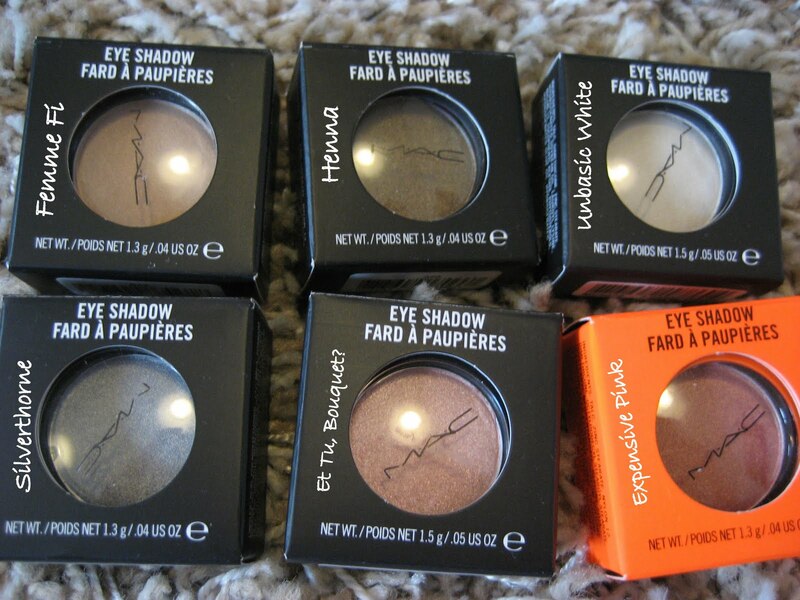 I picked up 7 shadows (all priced between £6.50 and £8), 6 in pots and 1 pro-pan of ‘Jest’ (not pictured). Of the above my current favorites are Henna (a gorgeous shimmering olive green) and Expensive Pink (a shimmering rose pink-gold from a LE collection I missed, but have since seen on blogs and really wanted to track down). 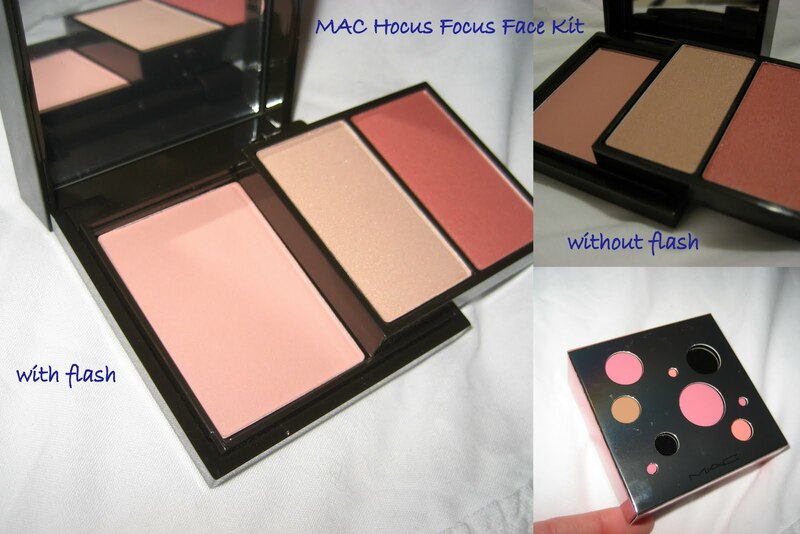 I also bought the Hocus Focus Colourful Face Kit from the Christmas 2009 collection. I think this was a great bargain as it only cost around £20 and includes…. two beauty powders (pretty baby and sunsparked pearl) and one sheertone shimmer blush (peachy keen). I really love the blush and sunsparked pearl as a highlight. I like the name of pretty baby, but I’m not quite sure how I’m going to use it – any tips please do share! So there we have my bargain packed spending spree! What do you think of the colours I picked up? What’s the best bargain you have nabbed at a CCO or beauty sale?? All bought by myself in a big whirlwind of spending followed by a rush of buyers remorse…that quickly vanished when I looked at the pretty things. I will be in London in the beginning of August and would love to visit some sale outlets! What can you recommend? @delerith21 If you can make the trip out of London then do go to Bicester. It’s a nice little shopping village.You can get a train from Marylebone that takes about 45mins. Thank you for! I would definitely go to the markets! I checked ticket price from Marilebon to Bicester and it’s so expensive! About 20 GBP one end! @delerith21 Really? That’s madness! I’m sure there are cheaper tickets than that available? !